You are envying the toned body of a passerby and making a mental note in bold letters to hit the gym after work, when suddenly your phone buzzes. Of course, your boss has heard your thoughts and wants you to be in that dinner meeting tonight! Before retrieving that mental memo you have just made and grudgingly hitting delete, you may want to consider a few exercise tips that can fit into your busy schedule. Good health is not something you can easily get back once you have lost it. Maintain it by choosing a healthier lifestyle, which also means committing yourself to daily physical activity. Make that important decision now and go for it. Start with short-term goals and slowly work your way through long-term ones. Doing a few minutes of daily exercise is a good way to begin, and then you can work on obtaining your ideal weight or lowering your blood pressure and cholesterol levels. Making exercise a part of your daily life can be easier achieved if you have a clear action plan. Assess your current lifestyle and regular schedule. You will always find opportunities to insert some physical activity into your busy calendar if you will just pay attention to it. If your job requires long working hours in the office, you don’t have to kiss that exercise regimen goodbye. 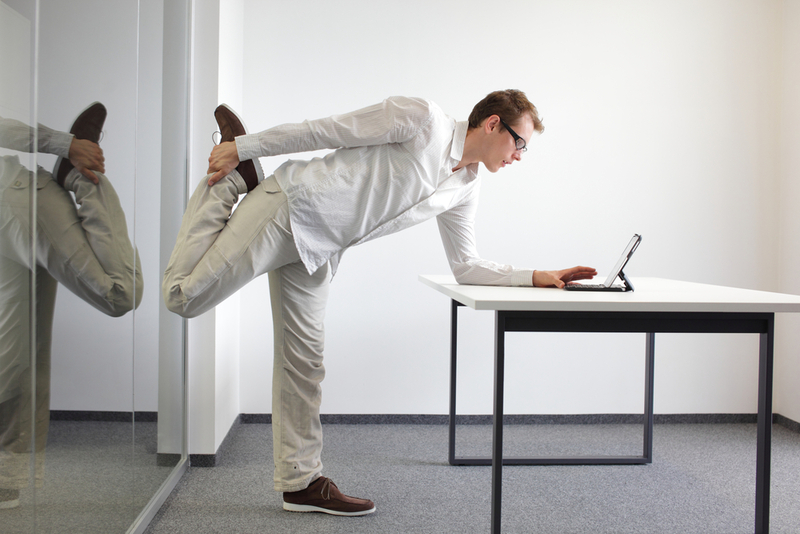 You would be amazed at how much exercise you can actually do while at work. You can always choose the staircase over the lift, and whenever possible, make it a habit to deliver documents and messages in person. It would also make a lot of difference to set an hourly alarm to remind you to move around: you can just simply stand up, get yourself a glass of water, or bend over to pick up something. Have you also considered keeping an extra rubber shoes in the office and walking around your building during your lunch break? Now, that is an awesome idea. There are actually a lot more ways to incorporate some physical activity in the work place, there is even something as wonderful as a desktop yoga. If you haven’t heard of it, Google! There are several things that you don’t skip doing no matter how busy your day gets, such as taking a shower of brushing your teeth. Why not make an abbreviated exercise one of these? Create several sets of 10-minute exercise routines that you can alternately do at least twice a day, perhaps before taking a shower. Exercise is easier done and can actually be something you wouldn’t want to miss if you’re having fun. You can enroll in a badminton clinic, dancing, or anything that you enjoy doing. If you can recruit a friend, so much the better! Vaping & Exercise – Does Vaping Affect Working Out?